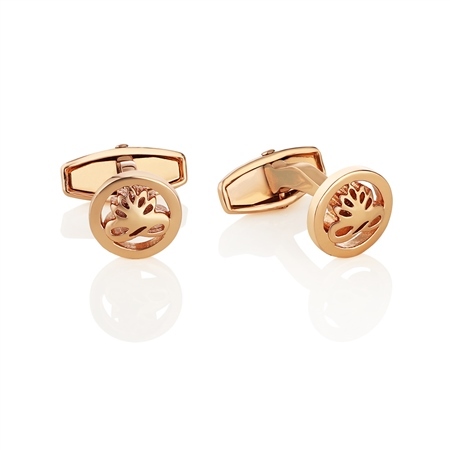 Featuring the Ti:amo lotus symbol these cufflinks add simple yet sophisticated style to any outfit. A stunning jewellery collection which speaks for itself. Rose gold plated TI:AMO cufflinks with a protective anti tarnish layer, lotus flower TI:AMO logo detail, presented in a Newbridge Silverware gift box. Product dimensions 20mm x 16mm.